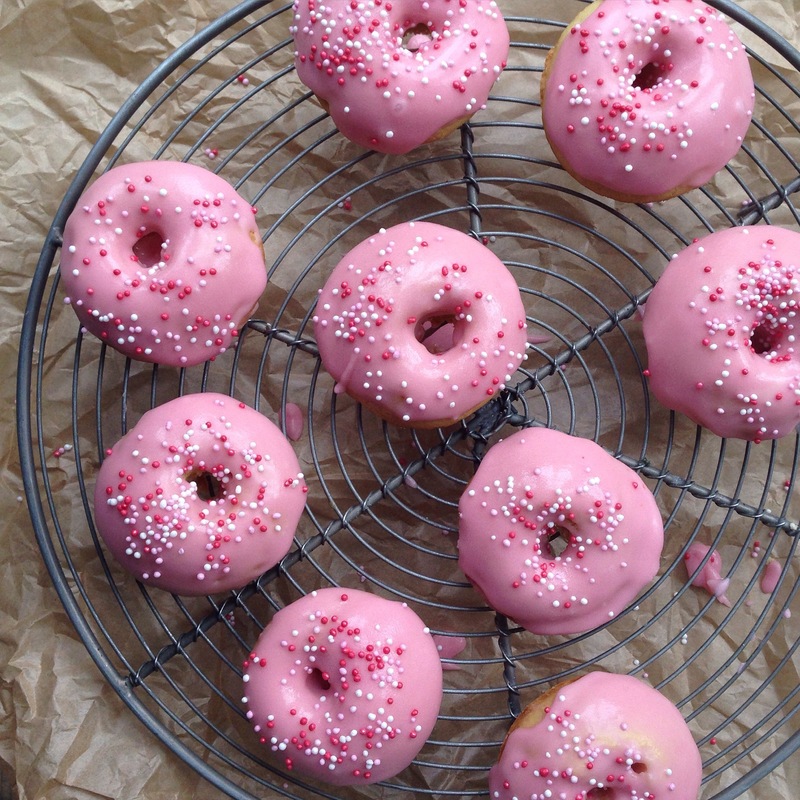 I don’t know about you, but for us, other people eating doughnuts seems to crop up a lot! 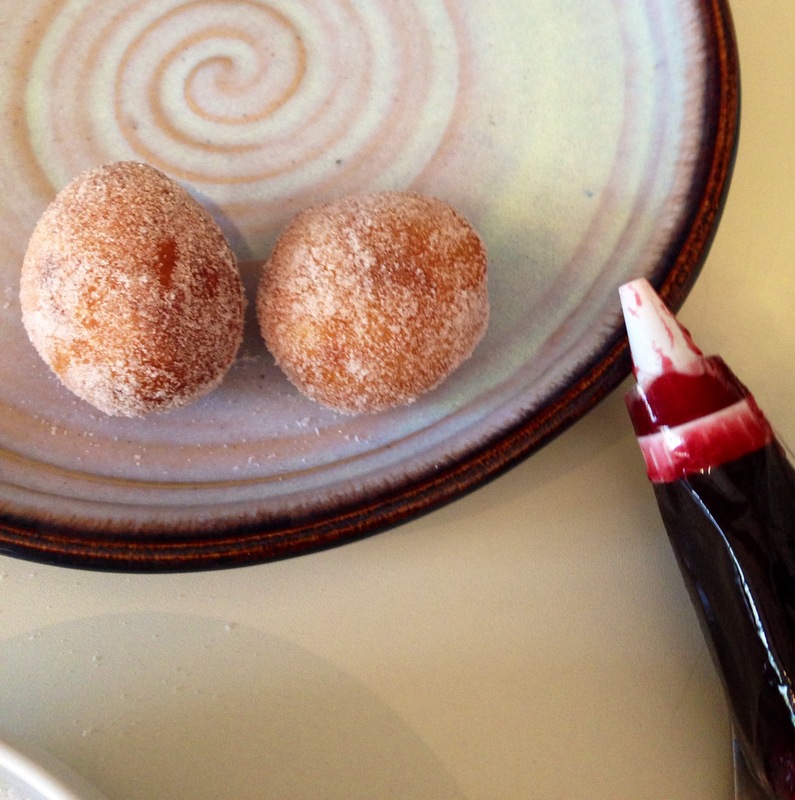 They feature as the treat of choice in so many scenarios – from the highlight of school match tea to that Halloween game of dangling them on strings and trying to eat them with no hands . 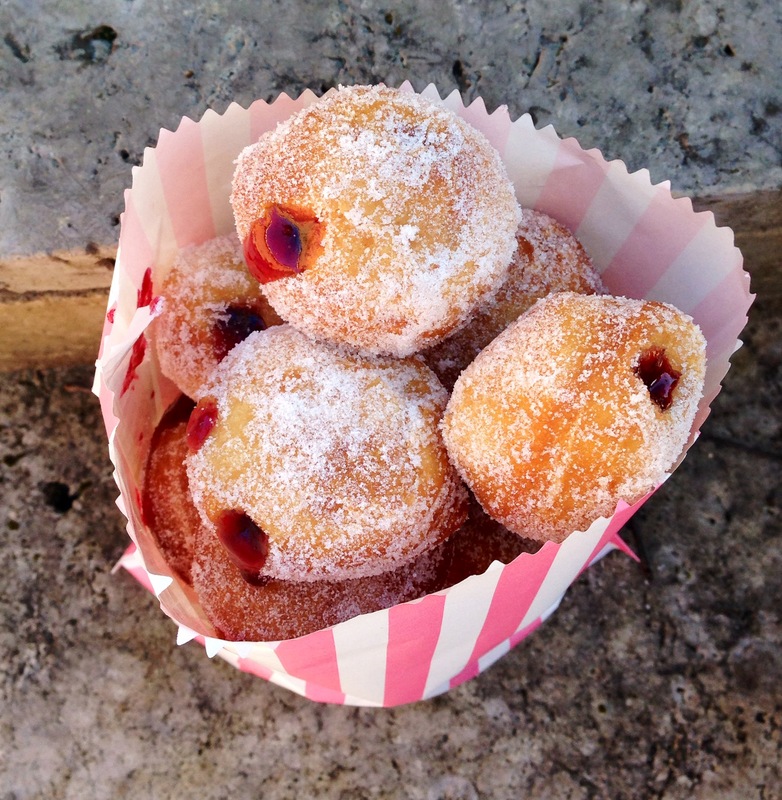 I’ve made ‘proper’ doughnuts before with great success, but you really don’t want to eat or make deep fried dough too regularly, so here is a great baked doughnut recipe idea to have to hand. 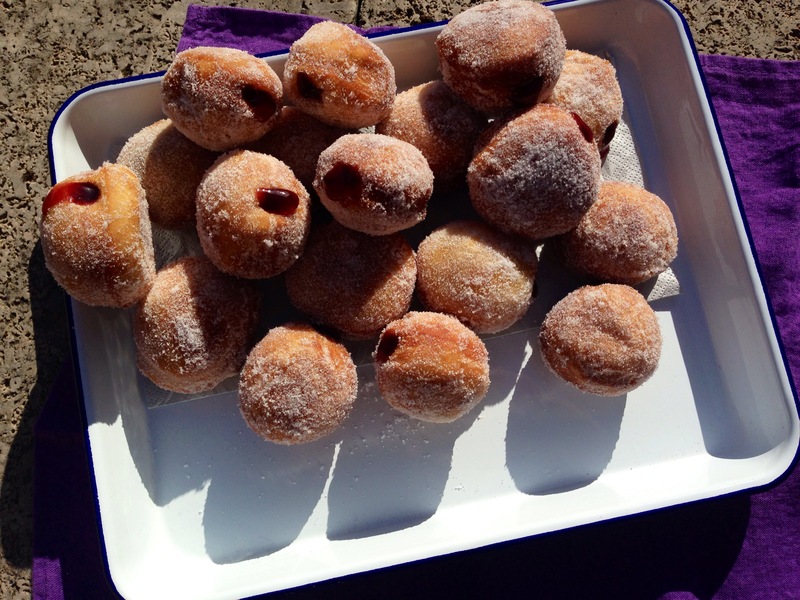 I’ve made baked doughnuts before too and although they were perfectly passable, they weren’t as fantastic as I’d hoped. 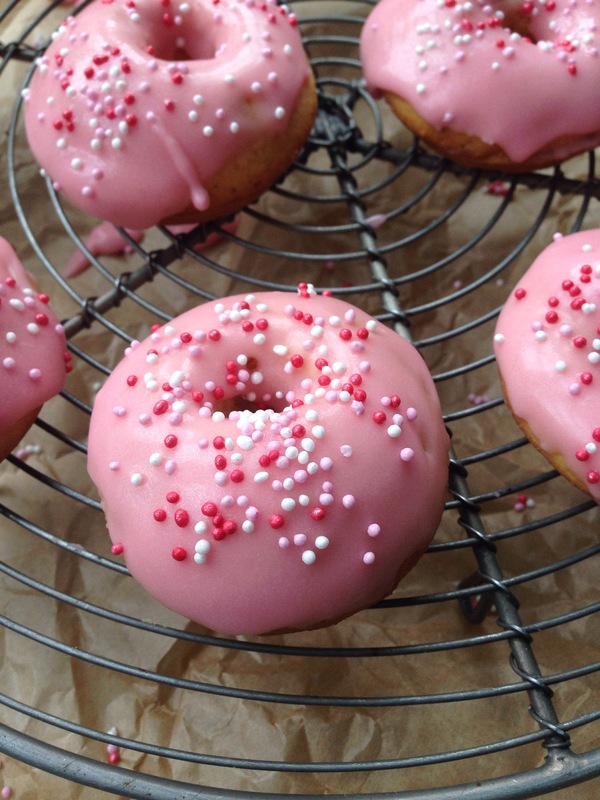 This recipe instead is far better, the doughnuts don’t stick (bonus! 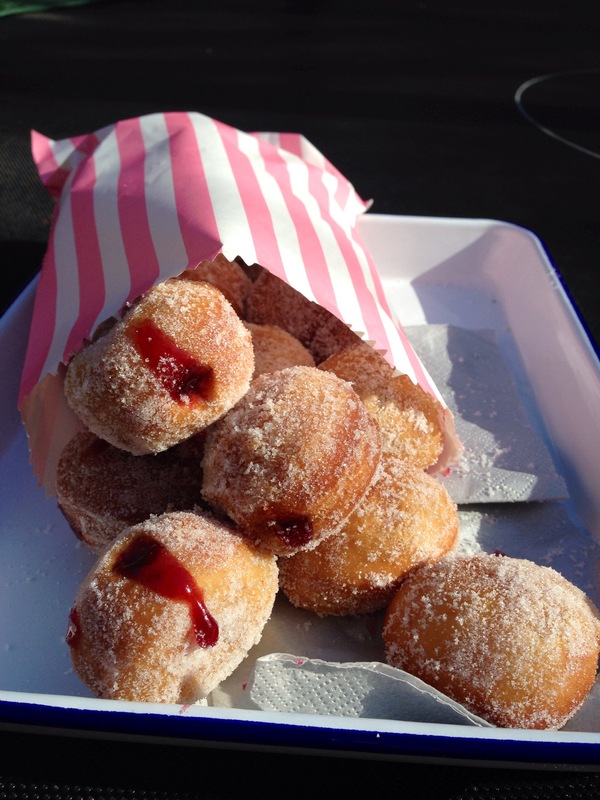 ), they’re light and fluffy but also distinctly doughnutty rather than cakey. 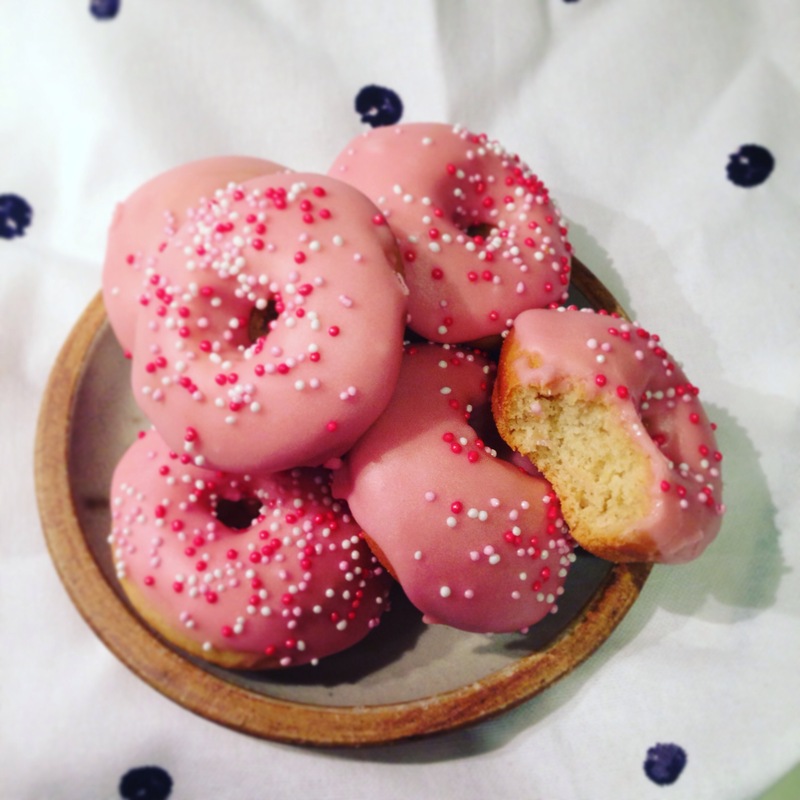 They are an absolute joy to eat and make! And the secret? Well it’s a dose of good old aquafaba to replace the usual eggs in a doughnut batter and it works a treat, giving a fantastic rise and thankfully no hint of beanyness in sight! I know the aquafaba direction has gone from simple meringues to general egg replacement – however, I haven’t always been convinced. 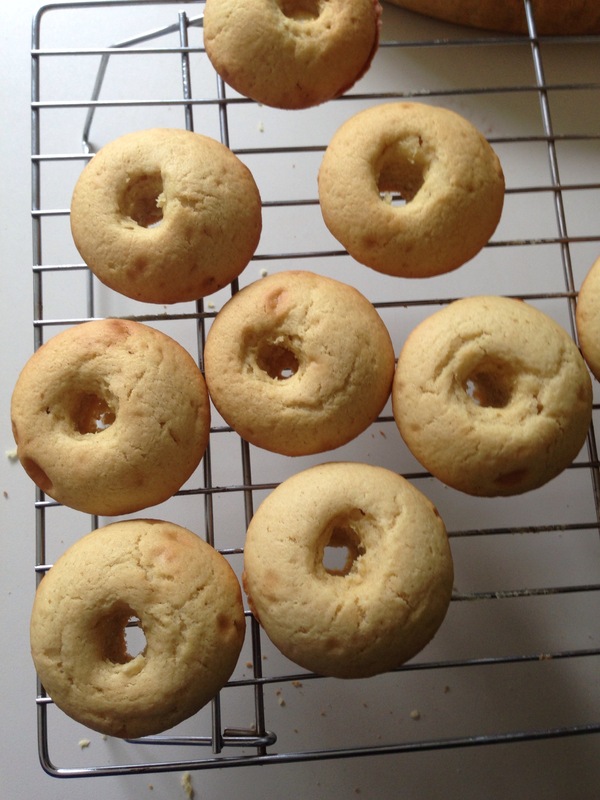 The cookies I’ve tried with aquafaba haven’t been as good as my egg-free versions and you certainly don’t want to use too much in any recipe. This recipe is an exception, the aquafaba really, really improves it. 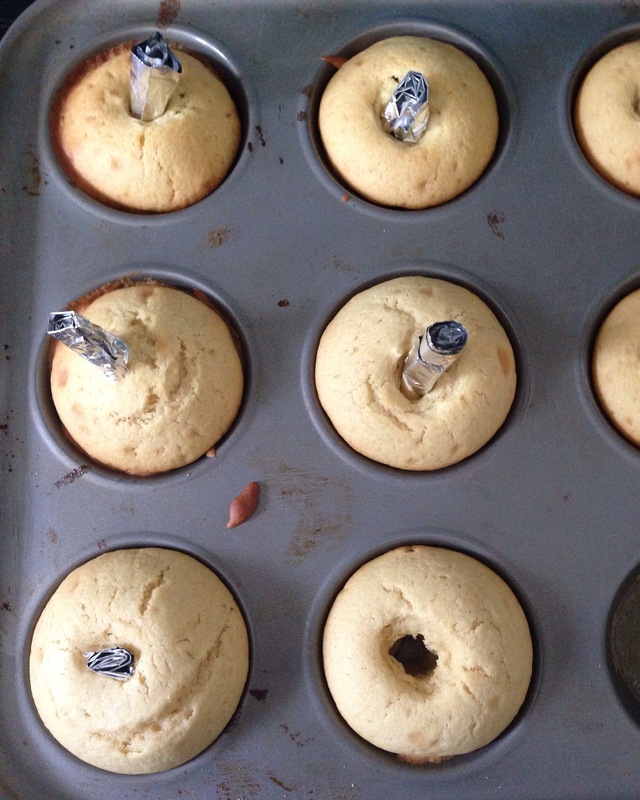 I don’t have a doughnut pan so I improvised with foil tubes placed in the centre of muffin holes – they may not be as perfect but they’re still doughnuts with holes!